Although people often assume our band name is plural too, we freely admit, it takes two of us to make one decent hot tamale. When not covering old blues guys, Motown greats, traditional tunes, or the Everly Brothers Craig and I perform our own music. On this page I want to share some of our songs and the stories behind them. At From The Heart studio. Our good friend Larry Moses was dying a slow quiet death. It was on our minds as we practiced, and on my mind as I drove home. Much of my song writing rides the thermals created by a long practice as if, after four hours of singing and playing, a door has been left open. The song that walked through the door when I was navigating Capitol Circle was a song about death that suited Larry the optimist, a man both kind and quirky. The song is on our CD Sunnyland and the link below includes an intro by a DJ in Great Britain named “Folky Phil.” Everyone has lost dear friends and the song resonated with him. Give “Song For Larry” a listen. Of all the songs Craig and I have co-written, this is the only collaboration for which the two of us were in the same room—make that garage. Usually a song is passed back and forth. I may come up with a stretch of melody and write a verse then pass it to Craig. He’ll add a bridge and another verse and sophisticate my plain-vanilla chords. He also writes beautiful, melodic guitar lines that add the necessary elegance or grit to a song. That we were together to write “Easy” was a case of making lemonade. I had been in a car wreck and broken my pelvis. I was being held together by an external fixator (a giant handle that stuck out in the front) and getting around by walker and wheelchair. I wasn’t really safe staying home alone and my husband, Ray, had to go north to help our daughter make some lemonade of her own. Craig and his wife, Laura, took me in. We may have, all we’ll ever have, but you know it’ll be all right. If I sing the melody, you sing the harmony, we’ll make it easy through this life. I was feeling beaten down and resigned. Helpless (the only way you can feel when you need assistance putting on your socks) and puny. I had run smack-into the realization that the grand arc of my life had suddenly become much more modest than my dreams—and, in truth, even without the accident the passage of time was making the limits of the possible apparent. Although the accident made it plain that some ambitions and dreams might remain just that, I also discovered it was all right. 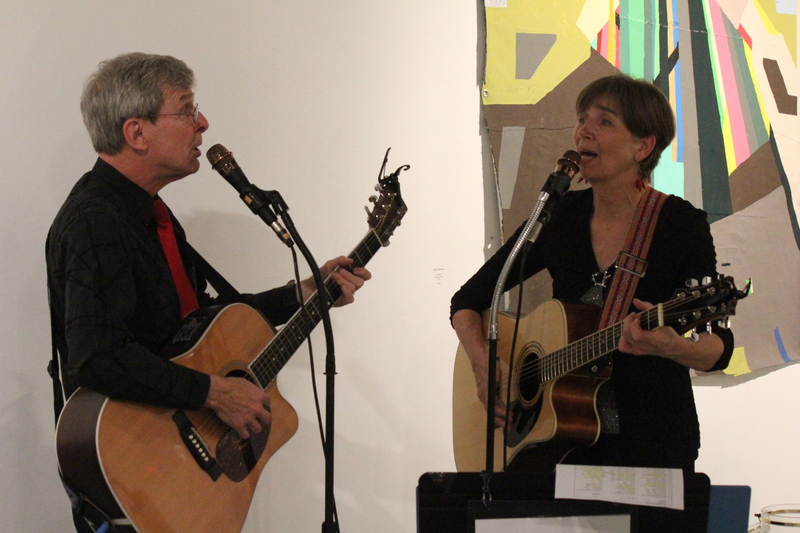 As is often the case with our songs, the lyrics became a conversation, this time between an older couple living in a rural town, definitely on a backstreet, who watch the world go by from their front porch. They mention a few of the things they’ll never have, but the desire to get and to have doesn’t feel as urgent as it once did. As long as one of them sings the melody and the other sings the harmony it’ll be all right. Click here to play “Easy” on the soundcloud. When I find myself taking things too seriously I try to remember that most things don’t make no nevermind. Craig and I turned that philosophy into a song. Craig with his trusty flip camera filmed us playing this song over and over. Why honey, it didn’t make no nevermind in venues all over North Florida! Don’t believe me? Click here. Since music is on my mind so much of the time, here are posts I have written on the subject. They are listed most recent to least. Craig and I met at Tallahassee’s Downtown Market. He was busking, I was helping a friend sell her pottery. “Mind if I add a little harmony?” I said, and the rest is history. Celebrating all street musicians we wrote Busker’s Lament. Anyone in my generation, whether they served or not, bears the scars of Vietnam. Ken Burns created his unforgettable series. We created Back Home. Growing old can be defied. Jackie Gonna Dance is about a man who, despite bum knees, life losses and the risk of looking foolish is still gonna dance all night long. On January 17,, 2015 Hot Tamale released it’s first-ever professionally recorded CD, Sunnyland. Finding a dead turtle by the road doesn’t seem like anything to sing about—but it is. 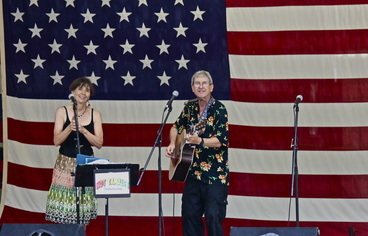 Playing the Florida Folk Festival was a destination Craig and I aspired to—and we got there! This is a post about collaborating in music—and in life. My first guitar belonged to Grandpa, my father’s dad. I write car songs–not songs about cars, but songs written behind the wheel of my car (not recommended by law enforcement). The late, great mother of the blues, Ma Rainey, and me. It’s not the Met or the Grand Ole Opry, but the music is good at Truck Night. The Front Porch Library got down to promote literacy–while Craig and I and our friend Gordon did our best to sound like The Kinks. Most musicians perform, in odd corners for anyone who will listen–we sure do. Working at the Baltimore Zoo I knew a woman who sang with Billie Holiday. This is her story.